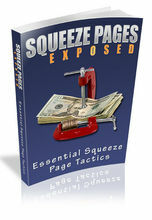 TripleClicks.com: "A Newbies Guide to Setting Up A Sales Funnel"
"REVEALED - The Secrets To Automated Income! The Sales Funnel Techniques The Gurus DO NOT Want You To Know" Information overload is something that hasnâ€™t just crept into internet marketing â€“ itâ€™s thundered in at a gallop! But the simple fact remains there are some techniques you absolutely NEED to know if you're going to succeed online! You need: A list, to build up that targeted traffic An autoresponder, to manage and help you build that list An internet service provider (so you can do business on the web!) A target market (youâ€™re still trying to narrow down your ideal buyer!) A payment processor, to collect cash in exchange for your services or products A Domain name (or two) (or more) for your product or services sites A blog, just a place where your market can get to know you A website, to host your landing pages or sales offersâ€¦ And this is where it gets confusing... You begin to research how to do these tasks - and discover thereâ€™s more than one way to use a website. Thereâ€™s more than one way to use a blog â€“ but which one is better for you? Let's cut to the chase - you need to know how the above things work, and you need to put then together... But All Of The Above Are TOTALLY USELESS Unless Your Sales Funnel Is Put Together Correctly! Yep. Iâ€™m talking about setting up and using a Sales Funnel. You may even have seen those funny little diagramsâ€¦ Sales funnel is a term that is only really understood when you've got one up and running! Because until you've seen the POWER of a sales funnel and the automated opt-ins and sales it can bring you, you have no way to appreciate it's power. You Are Leaving Money On The Table RIGHT NOW If You Don't Have A Well Thought Out Sales Funnel The hardest part of marketing is to grab a lead. Once you've got him, the next problem is to make a sale. Suppose you do that. Then what? Going after another lead is pure and simple HARD WORK. Sure you need to do it to develop your business, but at the same time it's SO MUCH EASIER to make another sale to your existing customer! If you've sold him a $27 ebook then why not ask him if he wants to buy a $97 mini-course or a $125 DVD? Sales funnels are about obtaining the most value from the leads and customers you've already gathered. It's about guiding them through your products - ideally in a way that progressively adds more value to your bottom line - and services. 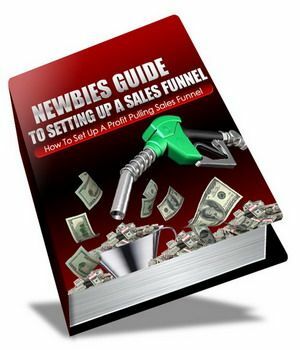 Without Understanding How to Effectively Use a Sales Funnel, Your Marketing Plan Just Wonâ€™t "Flow" My new Special Report, "A Newbies Guide to Setting Up A Sales Funnel", will help you see the true importance of this simple but vital little internet marketing tool. It will open the door on so many assets you may be currently missing out onâ€¦ Things like: â€¢2 mistakes most new marketers make - even before they've had time to make them! â€¢2 basic aspects to cover that will ensure maximum sales funnel success â€¢12 tactics you'll need to know how to effectively use, in order to make the most of every opportunity â€¢5 vital functions you'll need to know how to simply perform - master these and you're well on your way to confidence and success â€¢3 vital actions you must take - and 3 common sins you must avoid - if you want to create a successful squeeze page â€¢7 basic but necessary elements every squeeze page must contain â€¢5 entry points to start with (and they'll help you think of even more) â€¢The single most important new entry point tactic it's vital to know - miss this one, and you're turning your back on most of your new subscribers Sales funnels have been around for a long time â€“ and thereâ€™s a reason! Theyâ€™re the most simple yet effective planning tool you could ever implement. You see, they cover every potential angle â€“ and help you see and avoid the potholes in the road long before you reach them. They also teach you the real "need to know" stuff about internet marketing basics â€“ and thatâ€™s just what you can download today in my Special Report! Youâ€™ll also learn valuable strategies such as: â€¢4 Rules for creating freebies that people will value MORE than paid products! â€¢5 most popular methods of providing irresistible freebies â€“ and the 2 golden freebie rules you must never, ever forget! â€¢The secret of $1 offers - and why you should (or should not) include them -as well as the secret asset $1 offers create â€¢A foolproof way to effectively decided what your starting price point should be - no matter what product you're planning to create â€¢4 places to effectively introduce upsells â€“ and why â€¢2 priceless assets low-price offers can give back to you - almost straight away â€¢The single biggest upsell mistake almost every sales-funnel-ignoring new marketer makes â€¢The single most infallible rule for making cross sells seem like favors your customers eagerly thank you for â€¢2 factors that can add a powerful double whammy to every one-time offer â€¢A powerful way to fit your products to your customers' needs even more â€¢The single most vital product creation question smart marketers ask themselves, just as a regular habit â€¢The single most urgent occasion when you should let your customers have it for less â€¢2 major principles you need to observe, to move customers smoothly upwards through your rising price points â€¢2 ways to help customers "leave" - and how to make that actually work for you Now, if youâ€™re sitting there blinking, wondering what just hit you, and worrying that itâ€™s just too much to learn in one go â€“ relax! I show you in less than 30 pages! Iâ€™ve Focused on Cutting Out Every Distraction â€“ and Giving You Only the Basic Core Facts you Need to Know Now Whatâ€™s more, weâ€™ll quickly explore the vital differences between traditional sales funnel methods and brand new onesâ€¦ Ones that have arisen out of increasing skepticism and sophistication on the part of today's buyers. Youâ€™ll quickly learn: â€¢The crucial difference between your journey and your customers' that you must always be fully aware of â€¢2 rules to follow, when promoting affiliate products, to make both affiliates and customers love you â€¢2 sales funnel super tips - and 12 deadly sales funnel mistakes! â€¢2 vital steps to take, when preparing to generate opt-ins - and the single most important factor to focus on â€¢3 steps you must take when capturing leads - no matter which method you select in deciding how to do this â€¢The final important step you must take, to boost your profits to "big time" levels (you won't hit those numbers without it!) And if youâ€™re worrying that youâ€™ll get a basic "skim-over" in this report â€“ one that wonâ€™t give you enough protein to chew on â€“ please let me instantly put your mind at rest! I may have cut out unnecessary distraction â€“ but Iâ€™ve been careful to keep in everything youâ€™ll need to implement essential facts, strategies, tactics and techniques. (Now, I canâ€™t build your business for you, or teach you how to use an autoresponder â€“ but I can teach you how to make all these things a whole lot easier â€“ by fitting them into your plans at the perfect pace and place. And you may even learn about some things you havenâ€™t come across yet â€“ things youâ€™ll be glad to know now, that would have caused problems further down the line!) So if youâ€™d finally like to put an end, once and for all, to not knowing which step to take nextâ€¦ â€¦if you really want to plan for success, in a way that makes you feel genuinely confident and assuredâ€¦ Now is Your Chance To De-Mystify The Whole Sales Funnel Confusion! Rememberâ€¦ knowing how to properly use the sales funnel model to map your internet marketing strategy is your very best way to: Cut out confusion Increase your confidence Eliminate unnecessary work Eliminate many "wrong steps" or unnecessary diversions Increase your results â€“ and long-term success! 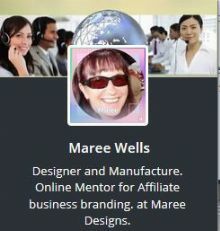 So donâ€™t wait any longer â€“ help yourself to this powerful, effective internet marketing tool today! Information overload is something that hasnâ€™t just crept into internet marketing â€“ itâ€™s thundered in at a gallop! You begin to research how to do these tasks - and discover thereâ€™s more than one way to use a website. Thereâ€™s more than one way to use a blog â€“ but which one is better for you? But All Of The Above Are TOTALLY USELESS Unless Your Sales Funnel Is Put Together Correctly! Sales funnel is a term that is only really understood when you've got one up and running! Because until you've seen the POWER of a sales funnel and the automated opt-ins and sales it can bring you, you have no way to appreciate it's power. The hardest part of marketing is to grab a lead. Once you've got him, the next problem is to make a sale. Going after another lead is pure and simple HARD WORK. Sure you need to do it to develop your business, but at the same time it's SO MUCH EASIER to make another sale to your existing customer! If you've sold him a $27 ebook then why not ask him if he wants to buy a $97 mini-course or a $125 DVD? Sales funnels are about obtaining the most value from the leads and customers you've already gathered. It's about guiding them through your products - ideally in a way that progressively adds more value to your bottom line - and services. Without Understanding How to Effectively Use a Sales Funnel, Your Marketing Plan Just Wonâ€™t "Flow"
â€¢2 mistakes most new marketers make - even before they've had time to make them! Sales funnels have been around for a long time â€“ and thereâ€™s a reason! Theyâ€™re the most simple yet effective planning tool you could ever implement. You see, they cover every potential angle â€“ and help you see and avoid the potholes in the road long before you reach them. They also teach you the real "need to know" stuff about internet marketing basics â€“ and thatâ€™s just what you can download today in my Special Report! â€¢4 Rules for creating freebies that people will value MORE than paid products! â€¢5 most popular methods of providing irresistible freebies â€“ and the 2 golden freebie rules you must never, ever forget! Now, if youâ€™re sitting there blinking, wondering what just hit you, and worrying that itâ€™s just too much to learn in one go â€“ relax! I show you in less than 30 pages! Whatâ€™s more, weâ€™ll quickly explore the vital differences between traditional sales funnel methods and brand new onesâ€¦ Ones that have arisen out of increasing skepticism and sophistication on the part of today's buyers. 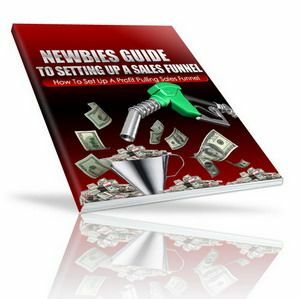 â€¢2 sales funnel super tips - and 12 deadly sales funnel mistakes! And if youâ€™re worrying that youâ€™ll get a basic "skim-over" in this report â€“ one that wonâ€™t give you enough protein to chew on â€“ please let me instantly put your mind at rest! I may have cut out unnecessary distraction â€“ but Iâ€™ve been careful to keep in everything youâ€™ll need to implement essential facts, strategies, tactics and techniques. (Now, I canâ€™t build your business for you, or teach you how to use an autoresponder â€“ but I can teach you how to make all these things a whole lot easier â€“ by fitting them into your plans at the perfect pace and place. 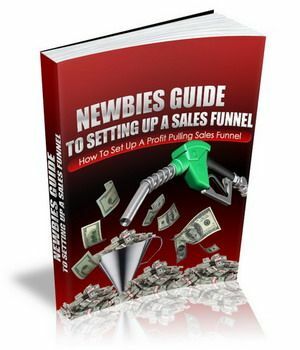 Now is Your Chance To De-Mystify The Whole Sales Funnel Confusion! Increase your results â€“ and long-term success! 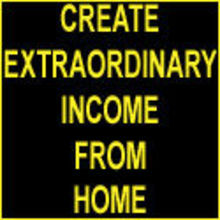 So donâ€™t wait any longer â€“ help yourself to this powerful, effective internet marketing tool today!